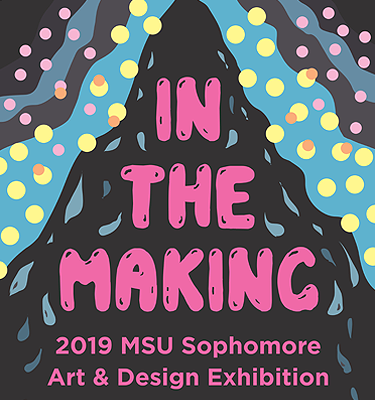 This year, approximately 30 students will each present a curated selection of four to six pieces they have created at MSU in 100-level and 200-level classes. At the conclusion of the exhibition, they will also meet with MSU faculty from the Department of Art & Design to discuss their experience and their work. Jennifer Reis, director of the Golding-Yang Art Gallery and art instructor, said preparing for and presenting at this showcase almost always proves to be enlightening and encouraging to these developing student artists.